We're really excited to share with you the second episode of our Radio Dama series. Our latest mix comes from the colourful three-piece, Sea Moya. Originally from Germany the band now reside in Montréal, QC where they are working on the release of their debut LP. Catch them live at SXSW this year as well as Canada Music Week. 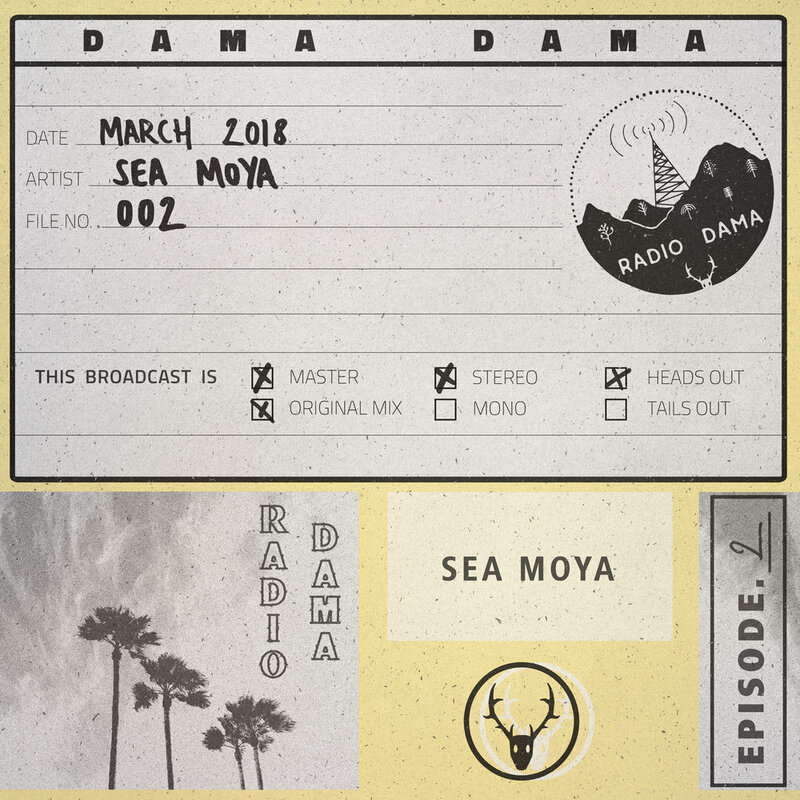 In true DAMA spirit we encourage artists to be as free and diverse as possible and this episode from Elias of Sea Moya totally encapsulates what we want Radio Dama to be about. corners in the cities, but most striking: The noise. Intense in its loudness, calm in its steadiness. Intimate and divine in all the music and ritual singing, angry and restless in the chatter and traffic. speaks to you on a different level. It moves your body, makes you think, inspires and offers a place to rest. I’m flattered to contribute to the Radio Dama series with bunch of tracks, snippets and field recordings from India that are very different but all pure at heart. Thank you Maribou State/DamaDama Records for cutting it up and reaching out in the first place, excited for the following Radio Dama mixes!!! "